Our unique style is built upon what we know we do best - capturing you, your family and friends in fantastic natural surroundings where you can be yourselves, reflect who you are and, of course, have fun along the way! We offer a wide range of portrait photography options for the whole family including bumps, babies, toddlers, tweens, teens and adults. 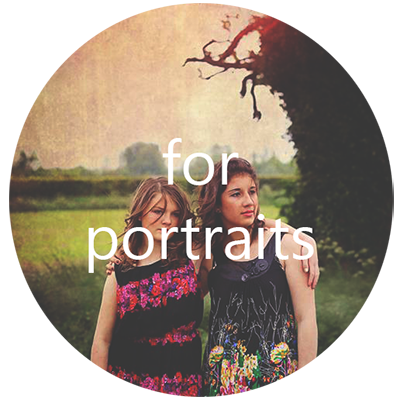 Our portrait shoots start at just £100 with a huge range of framing and presentation options available – including canvasses, photo books and acrylics alongside more traditional frames and mounts – so there’s something to suit all styles and budgets. We don't have a studio as we believe it’s where you want it to be – a park, a beach, an old building or even an urban shopping centre. Our aim is to work with you in your setting to shoot some timeless, unique and stunning images. Normally a shoot will begin at your home where we’ll meet you to talk about what you want from the session, the kinds of images you like and how you might want to display them. Once we’re all happy we’ll take a few test shots to get everyone in the mood before setting off for your chosen location. There are no hard and fast rules for what happens next because everyone is different and every location unique. What you can be assured of is that we will work to get the very best out of you, the location and the available light. Once the session is over we’ll get to work sorting and processing the images we’ve captured. We work with a broad portfolio of styles so can produce black and white, duo tone and colour blasted images which will give real drama to a finished product. Once we’re happy with the images we’ll upload them to a secure password protected site where you can view online. Alternatively we can arrange to come to you and present a slide-show in the comfort of your own home. We have a standard price list for prints and framed photos, but we’re very flexible about the products we produce for our clients – whether it be a creative montage of images or a stunning photo book. Just ask.